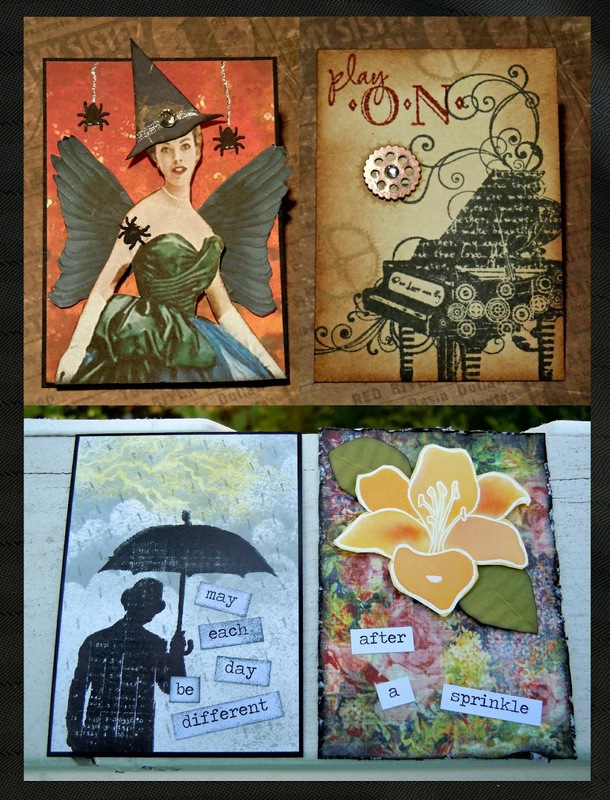 It's All About Me & Mine: Recent ATC projects I've completed. 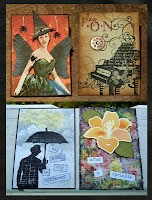 Recent ATC projects I've completed. These ATCs were for some online projects. My "Winged Witch" was for Retro Cafe Art Garllery's collage sheet challenge. They provided a digital collage sheet for us to print out, Then we could create up to 3 projects to post on their Facebook page. At the end of the month there is a drawing for a gift cetificate for digital collage sheets. The "steampunk piano" was for a music swap on Artisttradingcards yahoo group. And the bottom 2 ATCs were for an Artforthecreativemind yahoo group "rain with a resist technique" exchange. My resist technique was using clear embossing powder on the lightening strike in the clouds and for the white embossing powder on the flower.